The Location of the Boudl Al Fayhaa Hotel in Riyadh is tactical. The guests residing here have easy access to most of the important points of the city and the business district of Riyadh is a few minutes away. The International Airport is about 25 kilometers from the hotel and is very well connected. Visitors can use a variety of transportation to move from one part of the city to the other and have fun at the entertainment zones of the city. 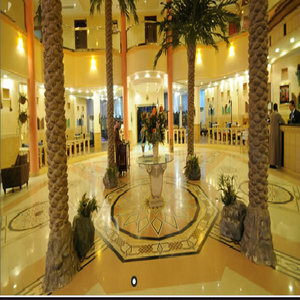 The 4 star Boudl Al Fayhaa Hotel in Riyadh is one of the elite hotels in the city which is preferred by the foreign travelers for its affordability together with its luxurious- beautiful plush accommodation and traditional Arabian hospitality services. The rooms at the Boudl Al Fayhaa Hotel in Riyadh are spacious and make you feel comfortable with a private bathroom- air conditioning- minibar- satellite TV- free WIFI internet access- an international direct dial telephone- iron- ironing board and a kitchenette. The room service is exceptionally efficient and available even at irregular hours during the night. There is free on-site parking. Additional Information: Children age 12 and under stay free in the room with parents and in existing bedding. Children over this age will be considered an adult. The hotel reserves the right to cancel without prior notification any reservation with an invalid or incomplete credit card number.